Bad pun 🙂 We’re getting a bit of freedom from the kids and so I’m in party mode! The Martini! 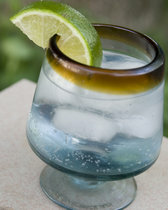 ~ The classic sort, made with gin of course! I rinse my olives really well for these because I don’t like the salty taste. 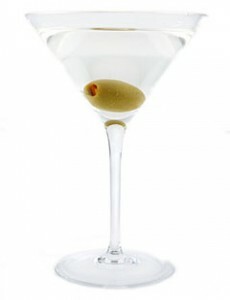 I recently received a tip from a fellow martini lover who said to rub the glass with fresh lemon before pouring the drink for a bit of a twist. Trying that this week! Gin & Tonic ~ If you’re getting the idea that I like gin, you’d be correct 🙂 These are particularly refreshing on hot summer days! I skip the lime though, because it tends to cut the fizz of the tonic water and part of the appeal of this drink is lots of fizz! The Pina Colada! ~ The whole coconut and rum thing again *grins* There are pina coladas and then there are Pina Coladas! Eons ago when I was but a young dragonling, I tasted the most luscious Pina Colada ever and it was love at first sip! Unfortunately, once I moved from that area, every pina coloda I tried be it at a bar and grill or restaurant or home-made recipe failed to live up to that first amazing drink. 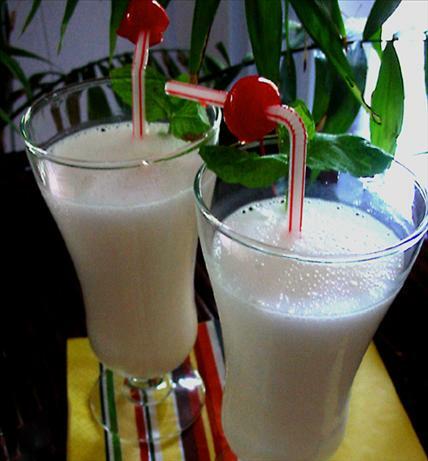 Until…I happened across this recipe for the Island Pina Colada and found creamy bliss once again! Yum! The Margarita! 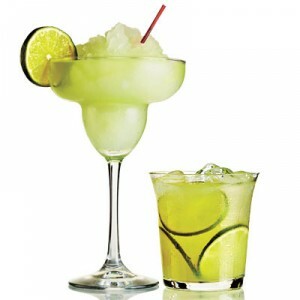 ~ Get thine hands away from that margarita mix. Shoo. Off. Instead, try this fresher tasting recipe utilizing real lime juice. It tastes ever so much better – a real zing on the taste buds! The Blue Bombcicle! ~ Made with UV Blue and lemonade. 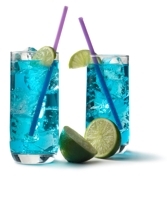 UV Blue is very sweet by itself, so using sweetened lemonade can make it rather…eh…sickly sweet for me. Fresh, unsweetened lemonade is far better and if you’re feeling lazy, like me, you can use lemon concentrate and water it down instead.